Just in time for summer, MAKE UP FOR EVER has revealed new colours to add to their AQUA Collection that can resist extreme conditions. The AQUA collection features easy application and long-lasting products with a wider choice of colours for limitless creation. It boasts 5 new Aqua Matic shades and 2 new Aqua Rouge colours. These waterproof eye shadows and liquid lip colours complete the AQUA collection for endless possibilities, from the most natural to the most sophisticated makeup. A major innovation in the AQUA range, Aqua Matic revolutionized the MAKE UP FOR EVER waterproof eye shadow segment through its packaging and its retractable lead. Initially available in 10 must-have colours to meet the needs of makeup artists and women alike, this year MAKE UP FOR EVER adds 5 new shades to the collection: Diamond Peach, Metallic Pink, Metallic Golden Khaki, Diamond Light Turquoise, Matte Black. 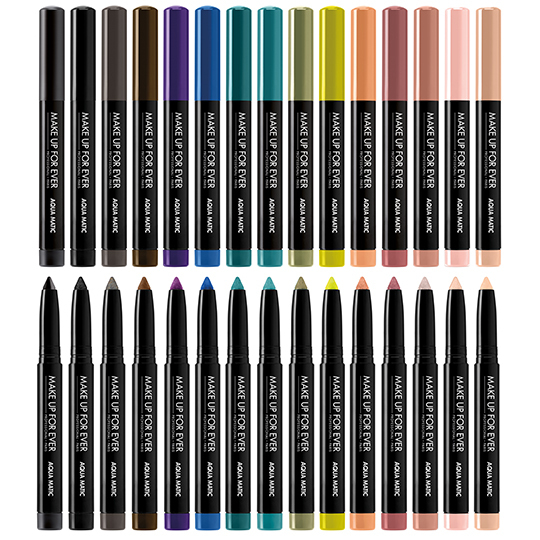 Waterproof and smudgeproof, the new colours and their ultra-glide texture perfectly complete the existing colour range. Aqua Matic gives easier coverage and application for eyes that truly hypnotize. Adding to their AQUA line are 2 new colours Aqua Rouge lipstick range. 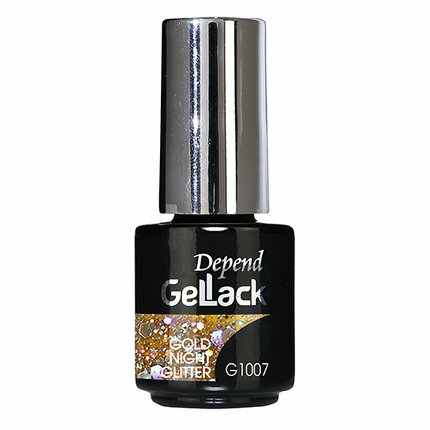 Thanks to its two ultra-accurate tips, the lipstick goes on in one go for the most intense result. It offers intense waterproof colour in 2 new shades, Cool Candy Pink and Apricot Pink, in additional to the 16 existing shades. These new colours from the AQUA collection will be released at all MAKE UP FOR EVER counters in Malaysia on May 2015. 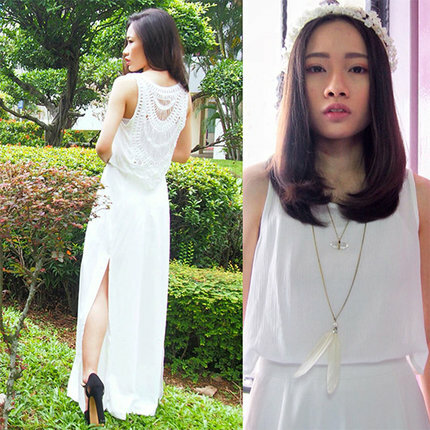 Aqua Matic retails for RM92 while Aqua Rouge retails for RM105. Mother's Day is just around the corner and it's time to start looking for the perfect gift to honour the #1 woman in your life. So in honour of this wonderful day, we've done the homework and have rounded up what is possibly the best Mother's Day gift this year: My Burberry EDP. A new fragrance for women, My Burberry EDP is inspired by the iconic Burberry trench coat with a scent that captures the essence of a London garden after the rain. Bright and uplifting, the new fragrance is individual and elegant, with a bright grand floral scent that brings to mind a spring blossom garden with its blend of blooming rain-tipped flowers. It consists of top notes of sweet pea and lemon flower; heart notes of peonies, peach flower, and freesia; and base notes of damask rose, white moss, and musk. The new fragrance is housed in the classic My Burberry EDP glass bottle, whose overall design reflects the details of the Burberry trench coat. A bold horn-finish stone and black cap echoes its distinctive buttons and the hand-tied stone-coloured English-woven gabardine knot honours the fabric invented by Thomas Burberry over 100 years ago. For an added embellishment, the bottle is presented in a stone-coloured box with a gabardine-inspired texture, embossed with a golden knot finish. 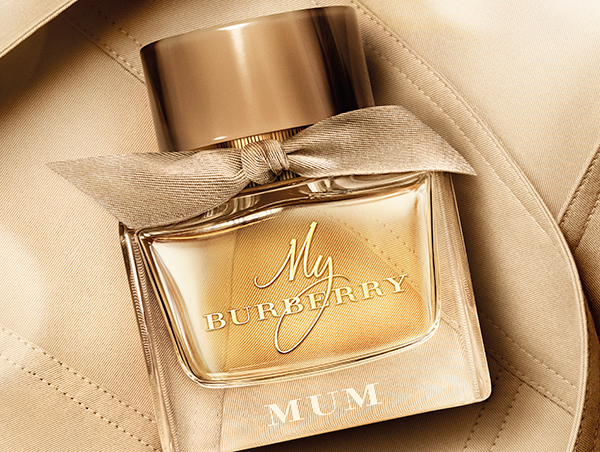 My Burberry EDP is available at both Burberry ION Orchard and TANGS Orchard beauty hall in Singapore. As an added special touch worthy of Mother's Day, Burberry Singapore is offering a monogramming service at their both Burberry beauty counter from 8 - 14 May, 2015. Get yours personalized today! Take into account all those late night spent cramming for an important presentation at school/work with those nights when you binge-watch your favourite Korean drama and you're left with tired, dehydrated looking skin that's dull and lacks its usual radiance and brightness. So what do you do? Catch up on sleep? Sure you can. 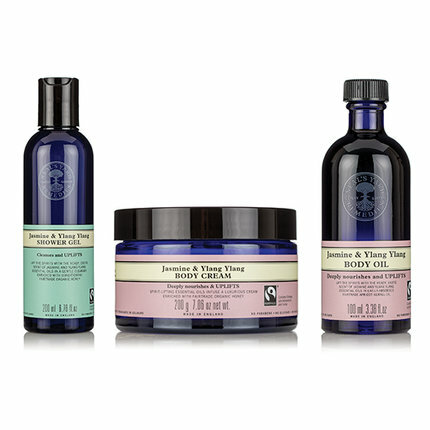 But why not take it a step further with a skincare item that will help put some life back into your face! 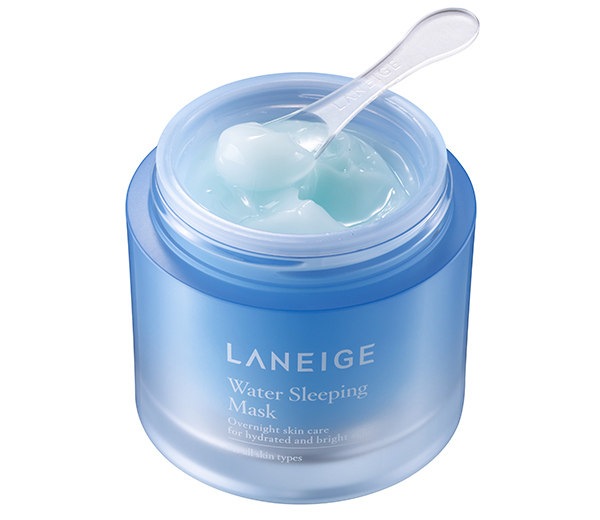 LANEIGE has recently introduced the new and improved LANEIGE Water Sleeping Mask by taking their best seller, the Water Sleeping Pack (which sold 16 million tubs globally since its launch in 2002), and making it even better. 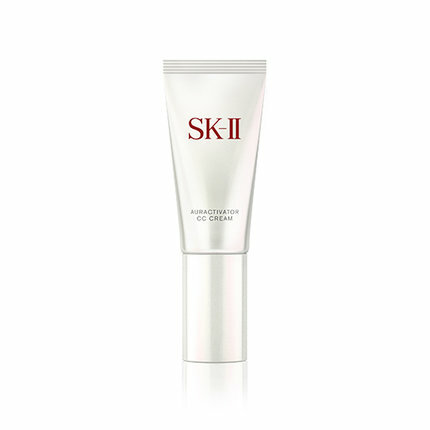 With its Sleeptox Technology, the mask repairs damaged skin from the external stressors during the day. It also helps to purify the skin with Hunza Apricot (a potent anti-oxidant) and Evening Primrose Root extract that detoxes the skin. All of this gets done while you’re asleep! Additionally, while skin may be better able to absorb nutrients during sleep, it also loses moisture at a faster rate as a result of its increased porousness. With this in mind, the reformulated Water Sleeping Mask includes the Moisture Wrap--a mineral network of moisture-rich beta-glucan that forms a porous film over the skin. 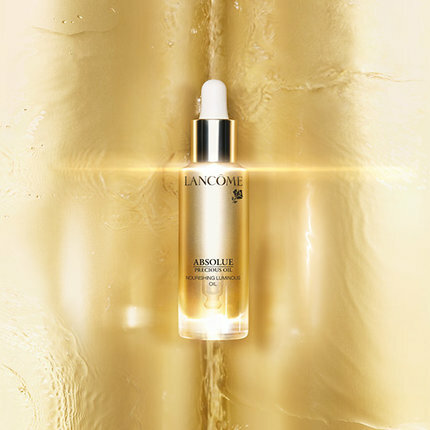 This locks in moisture as well as stabilises the active ingredients in Sleeptox which are delivered to the skin continuously through the night. The result? You awake with plump, bright, and hydrated skin. If you have trouble sleeping, you'd also be happy to note that the mask even helps improve the quality of sleep with Sleepscent--a combination of orange flower, rose, ylang ylang, and sandalwood oils that relaxes and calms the mind and body to prolong deep sleep, allowing your skin more time to rejuvenate. In addition, LANEIGE has also introduced a Lip Sleeping Mask to accompany the Water Sleeping Mask so your lips receive the same attention--featuring the same Moisture Wrap along with Berry Mix Complex that is rich in Vitamin C thanks to its mix of raspberry, strawberry, cranberry, blueberry, gojiberry, soapberry, cloudberry, and coffee berry extracts. 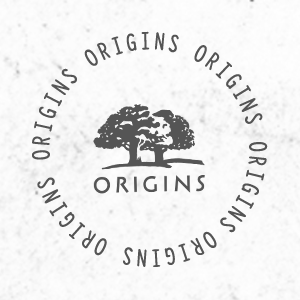 This intense complex absorbs quickly into the skin, leaving lips moisturised and soft. The Water Sleeping Mask (70ml) retails at SGD42 and the Lip Sleeping Mask (20g) retails at SGD27. 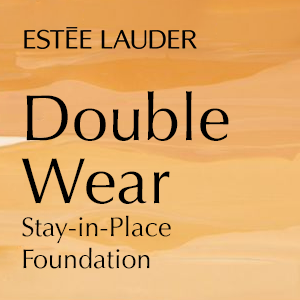 These will be available at all LANEIGE counters and boutiques from 7th May, 2015 onwards.